The Buffalo Bills named Carolina assistant general manager Brandon Beane their new general manager. Beane’s hiring caps off a short search after Doug Whaley and his entire scouting staff were fired the day after completion of the NFL draft. The 40-year-old Beane has spent his entire 19-year career working his way up through the Carolina Panthers’ ranks. 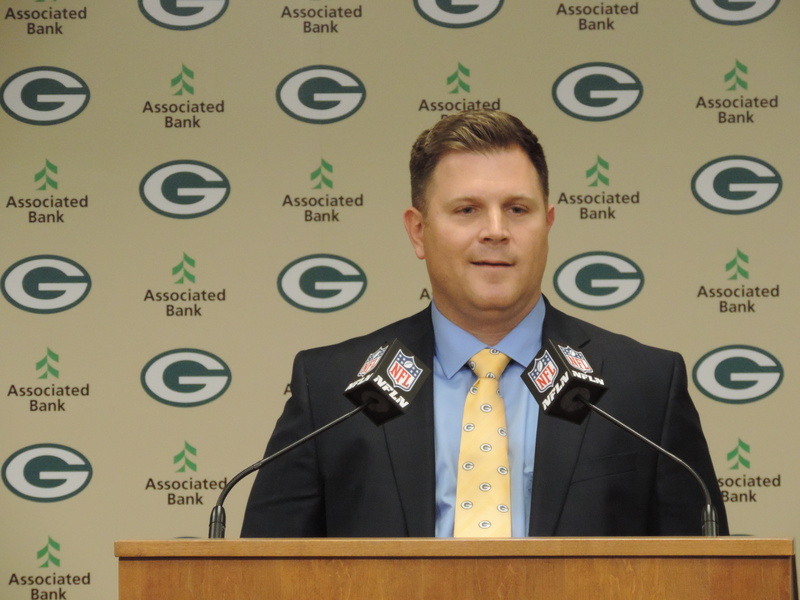 Green Bay Packers player personnel director Brian Gutekunst was interviewed for the post, as was Houston player-personnel director Brian Gaine and Philadelphia Eagles college scouting director Trey Brown. The Buffalo Bills are making a habit of shutting down some of the top passing attacks in the NFL. They held down Peyton Manning and the Denver Broncos two weeks ago. 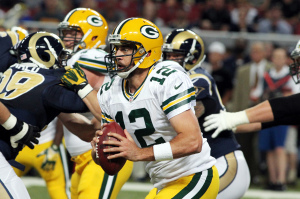 Yesterday, the Bills held Aaron Rodgers and the Green Bay Packers in check in a 21-13 victory. Buffalo improved to 6-0 all-time against Green Bay. It was a day Aaron Rodgers would love to forget, posting a 34.3 quarterback rating, his lowest ever. Rodgers completed 17 of 42 for 185 yards with two interceptions and didn’t throw a touchdown pass. It’s just the 9th time in 101 starts that Rodgers went without a touchdown. Rodgers first interception on Sunday came after 203 attempts without one. The Green Bay Packers have signed CB Loyce Means. The 5’10, 188-pound first-year player out of the University of Houston, entered the league as a non-drafted free agent with the Buffalo Bills in July 2011 and was with the team that preseason. Following his release by the Bills, he went on to play for the Hamilton Tiger-Cats of the Canadian Football League in 2011. Means appeared in 38 games during his career (2007-10) at Houston and posted 85 tackles (53 solo), eight interceptions for 238 return yards (29.8 avg.) and two TD’s, and 21 passes defensed. Barnett. 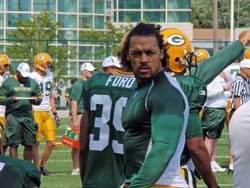 The former Packers player is a 10-year NFL veteran. Barnett didn’t miss a start in his two seasons with the Bills after signing in free agency. He led Buffalo in tackles last season with 112 and added a pair of sacks. 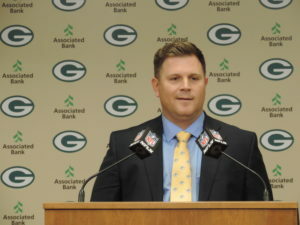 Barnett spent his first eight seasons with the Green Bay Packers and was entering the final year of his contract in Buffalo.